Make payment processing painless and affordable with Affiliated Acceptance. Years of specializing in the health club and Martial Arts industries has enabled us to provide flexible payment processing and billing services to meet the needs of your business. Our affordable payment processing options are backed by our full service billing. Our service doesn’t end once you accept a payment online. In a perfect world, we would never have to worry about declined payments, expired credit cards or disputes; however, some circumstances are just unavoidable. Our full service customer care provides you ease of mind by going that extra mile beyond payment processing. 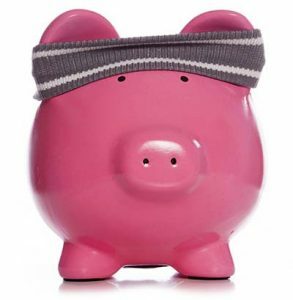 Leave your health club, fitness center or Martial Arts studio billing and collection concerns to us while you focus on member and student development. Our billing, payment processing and support services help your club maintain optimal cash flow and reduce outstanding payment delinquency. Our staff handles your member and student concerns efficiently. Whether updating contact information, ensuring a credit card number is accurate and the date is current, or answering questions about contractual agreements with your facility, we strive to be your best foot forward in communicating with your valued members and students. Our call center staff handle customer billing questions and all account changes. Our team walks you through setting your guidelines for membership, then follows your direction; we act as an invisible extension of your facility. AAC goes the extra mile to make sure your data is at your fingertips in a usable format. Our reporting tool is easy to use and provides insight into your business details to help you make decisions. Our reporting tool is integrated with our customer management and payment processing to include contract management, automated payments and manual payment collection. Find out who is late, who is overdue and what payments are expected for forecasting. Empower yourself to grow your business while we take care of the details. We handle rejected payments judiciously. Our staff makes multiple attempts to collect payment before a decline letter is sent. In addition, we continue to reach out to obtain payment and make reports available to you so you can follow collection efforts, measure your past due accounts and stay informed. We keep money in your pocket by assertively resolving chargeback and credit card disputes. Transfer funds to your account up to nine times per month for better budgeting of receivables. Your money, your choice. Contract rules regarding freezes, cancellations, renewals and more are defined by you—we ensure those rules and regulations are followed. Want to know what our great payment processing rates are? And how we help increase your cash flow of money? Call us at 1-800-233-8483 and ask for Sales!